Customise your own acai bowls with fruits and superfood toppings to complement your acai smoothie base. 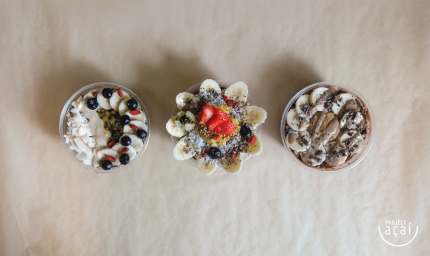 You'll also learn how to make your own delicious acai bowls and smoothie blends at home. Easy, energising and nutritious, they are great as a guilt-free meal, dessert or snack.